Paul M. Lavelle > Cotten Schmidt, L.L.P. Obtained a jury verdict dismissing plaintiff’s case in U.S. District Court for the Western District of Louisiana in a trial involving a products liability claim against the manufacturer of oil field drilling equipment. The case involved catastrophic injuries. The successful defense was based upon the argument that the use of the equipment at the time of the accident was not a reasonably anticipated use as defined in the Louisiana Product Liability Act. Successfully represented a construction company in an arbitration under the AAA Construction Rules, defeating the owner’s construction defect claims and recovering the remaining amounts due under the construction contract. 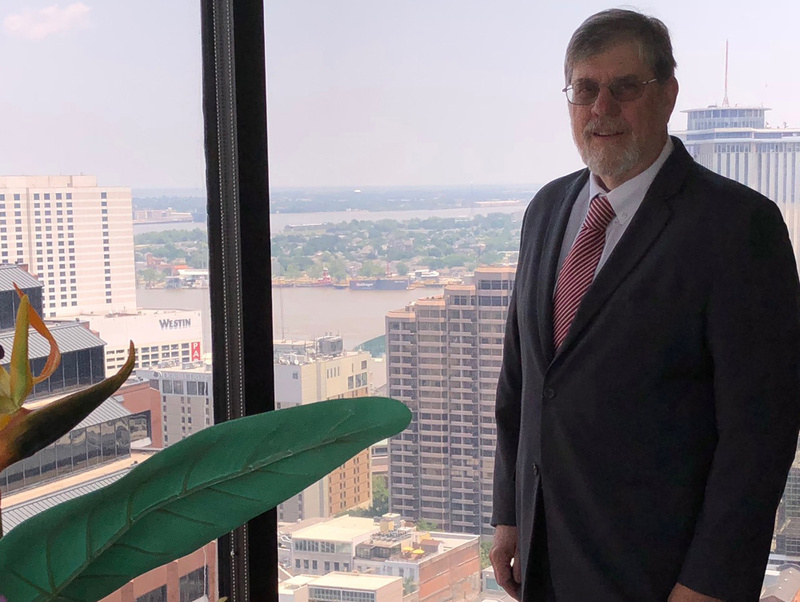 Represented a manufacturer at trial involving claims under both Admiralty Law and Louisiana’s Law of Redhibition in the U.S. District Court for the Eastern District of Louisiana. The plaintiff asserted claims of Redhibitory defect involving three marine diesel engines. The trial resulted in a jury verdict significantly below plaintiff’s lowest settlement demand. In connection with the investigation of a catastrophic accident and working with in house product safety managers, was able was able to avoid our client being sued by conclusively showing a plaintiff’s attorney that our client could not be responsible for the accident because of an alteration to the product made when a third party service company improperly replaced a key safety component. Represented the manufacturer of a valve involved in a chemical plant chemical release in a trial involving 20 Bellwether plaintiffs in a Mass Tort action in state court in St. Tammany Parish resulting in 10 dismissals and 10 awards of varying amounts. The results of the trial ultimately led to the settlement of the approximately 400 individual plaintiffs’ claims. Represented the owner of a chemical plant involved in a chemical release in a trial involving 20 Bellwether plaintiffs in a Class Action in state court in St. Charles Parish resulting in a range of awards and several dismissals which served as the basis for settlement for the entire class. Represented the manufacturer of equipment installed during the renovation of a municipal airport in a contract dispute with the general contractor in a jury trial in Louisiana State court resulting in an award for the contractor of less than 20% of claimed damages. On appeal, we successfully had that award reversed and judgment rendered for our client, on our claim against the contractor, in a significantly higher amount. Represented a company that leased property in conjunction with its operations servicing oilfield equipment against a premise owner’s claim of property damage for naturally occurring radioactive material. Defended an oilfield property damage remediation case involving indemnity and insurance issues as well as issues related to the authority given to the state under Louisiana Act 312. Represented a company in the investigation of a fire at a diesel storage tank farm that resulted in a determination that our client’s equipment was not involved in the cause of the fire thereby preventing the filing of a lawsuit against our client. Defended multiple plaintiff personal injury claim allegedly caused by exposure to a chemical leaking from a tanker truck. The case was tried in state court in Washington Parish; Louisiana The jury returned a defense verdict in just 45 minutes of deliberation after a five week trial. Defeated a consumer class action asserted in Federal Court in Missouri against a national consumer service company. The plaintiff alleged a nationwide class definition for two contractual claims and a state wide class under the Missouri Merchandising Practices Act (MMPA). The MMPA claim was dismissed on summary judgment prior to the class certification hearing. The two contractual claims, for which national class certification was sought, were defeated by showing that plaintiff failed to meet the perquisites of Federal Rule of Civil Procedure 23. Obtained a defense verdict for a vessel owner in Jones Act personal injury case in US District Court for the Eastern District of Louisiana. Defeated a brain injury claim arising out of a low speed impact motor vehicle accident after a three week jury trial involving a great deal of expert biomechanical and medical testimony in district court in Jefferson Parish.